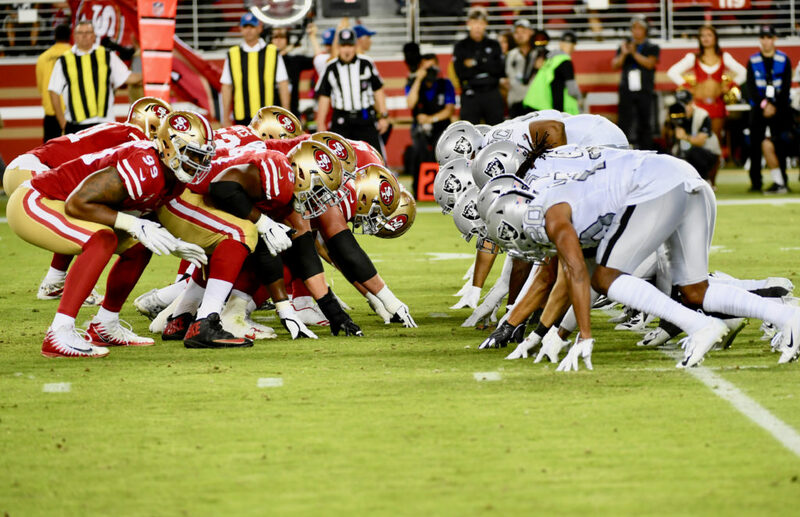 SANTA CLARA, Calif– In a 2018 season that’s already a nightmare for the Raiders, things officially turned into a disaster Thursday as Oakland Raiders got blown out of Levi’s Stadium in a 34-3 loss to the 49ers. Even though the Raiders have been bad this season, this was a game they were supposed to be able to win. Not only were they playing a 1-7 49ers team (now 2-7), but they were going up against a second-year quarterback who was making the first start of his NFL career. 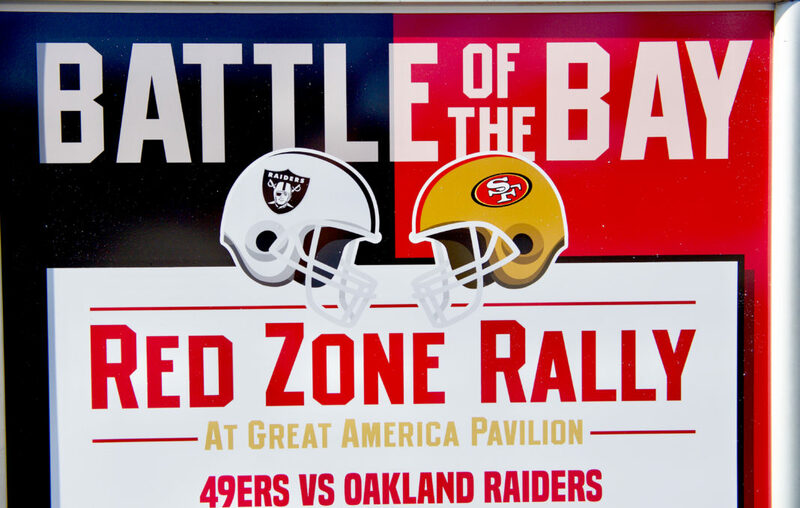 And the game was being played just 40 miles from Oakland, which meant that roughly half the people in the Stadium were there to cheer for the Raiders. 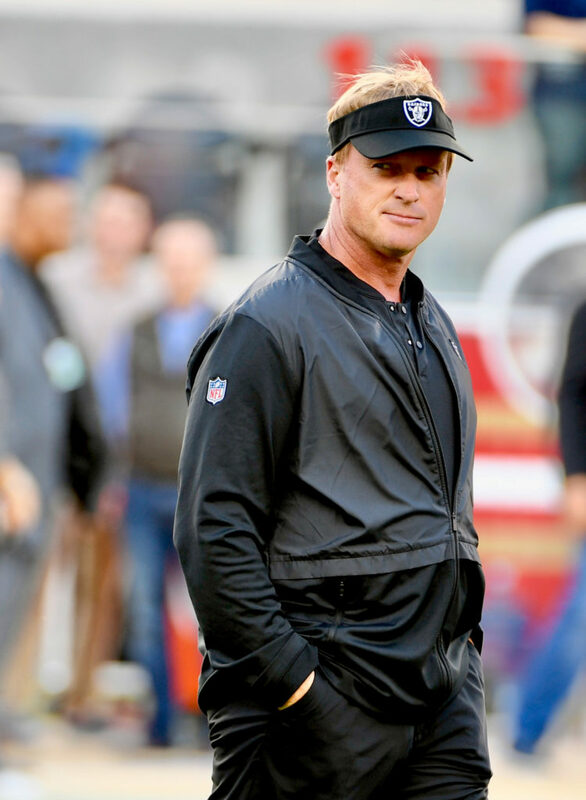 It also meant that half of the Stadium went home depressed after another embarrassing outing from a team that looks like its given up on Jon Gruden. It’s not easy to lose the locker room first nine weeks into your first season, but it’s starting to look like that’s what’s happening in Oakland. Although Gruden has insisted that he won’t be trading Derek Carr anytime soon, you have to wonder that they seem to get upset with each other every game. 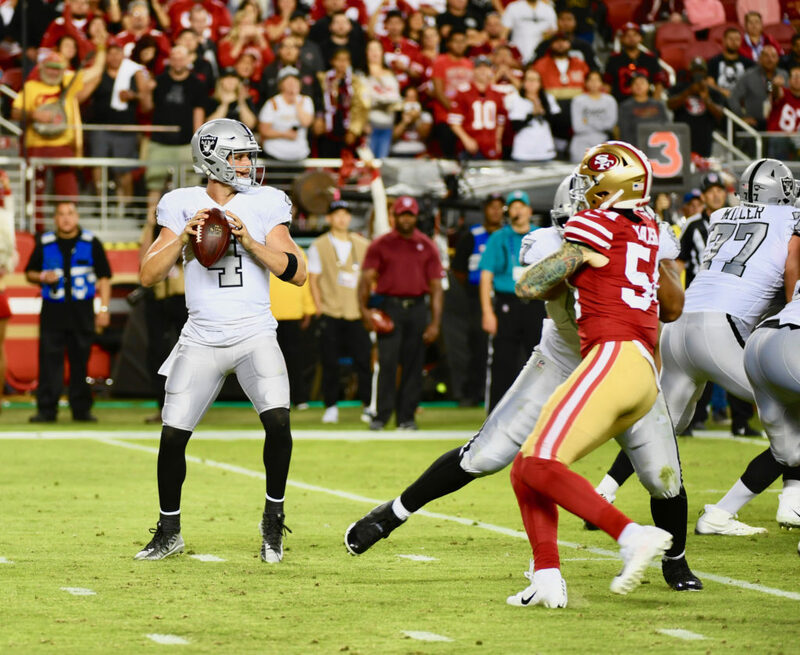 Of course, Gruden had plenty of legitimate reasons to get upset in San Francisco and that’s because Carr struggled with his decision-making all night. 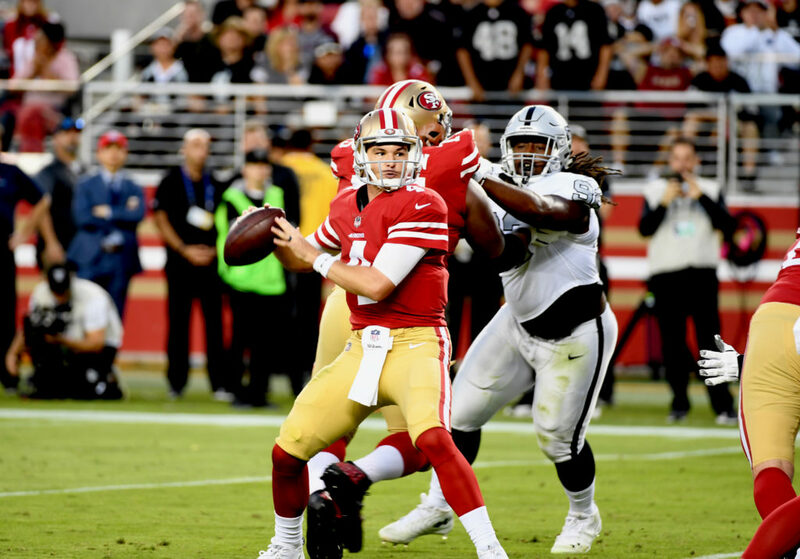 Carr sacked seven times against the Niners, but it’s hard to blame the offensive line for all of those, at least two of the sacks appeared to be Carr’s fault. The score at this point was 24-3, so Carr had nothing to lose by trying for a first down on a deep ball, but instead he threw a pass that gave the Raiders no chance of converting. Carr eventually get pulled in the fourth quarter as Gruden decided to give A.J. McCarron his first action of the season. In his time on the field. Carr led the Raiders to a field goal on their opening drive, then didn’t come anywhere close to scoring during his seven other possessions. 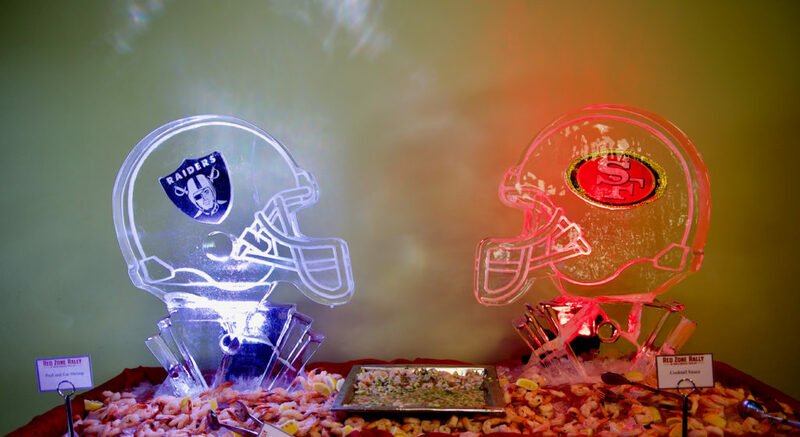 NEXT: Raiders will host the Los Angeles Chargers on Sunday, Nov. 11 at 1:05pm.